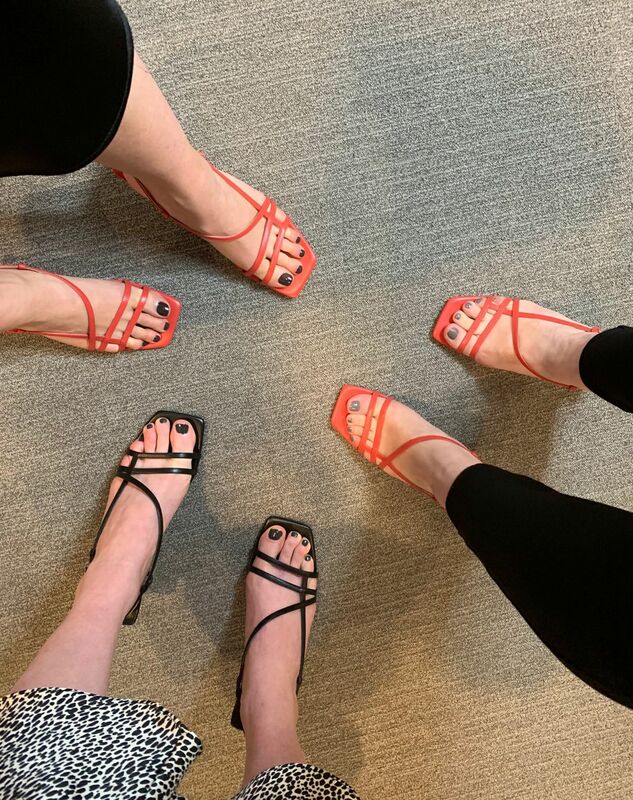 This week, my editor and I popped into Topshop’s Oxford Circus location on the way into work, and we left with three pairs of the same sandals between us. 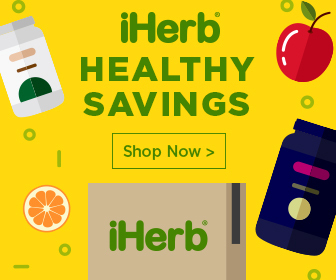 I certainly wasn’t expecting to buy a pair of spindly heels in February, however, these square-toed strappy sandals sold out within a matter of days online and were even better than I thought they would be in real life. So much so that I bought two pairs. 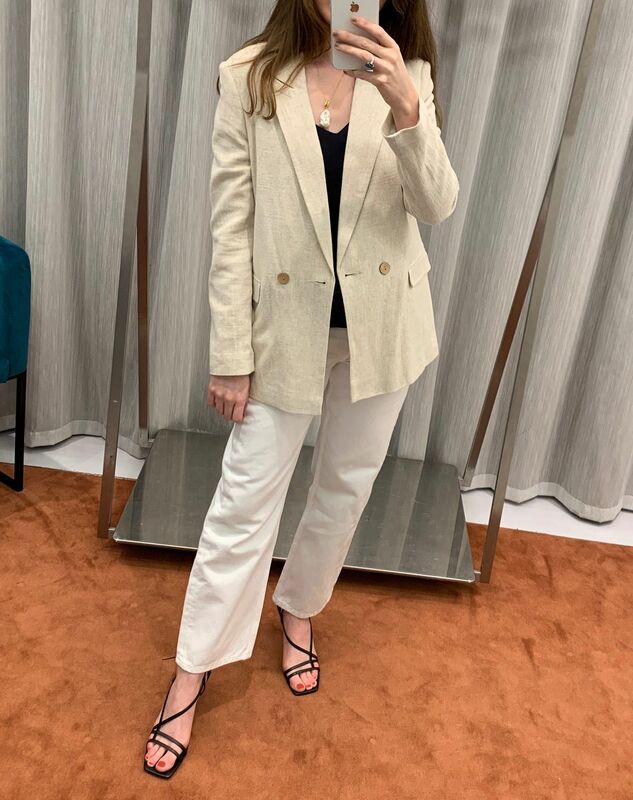 I thought the thin straps might dig into my blister-prone feet, however, they are surprisingly soft and the very low heels make them shoes you can actually walk in. The Topshop heels are currently sold out in both the black and red versions. We have a feeling they might be Topshop’s next cult item that will be back in many more colours before we know it. 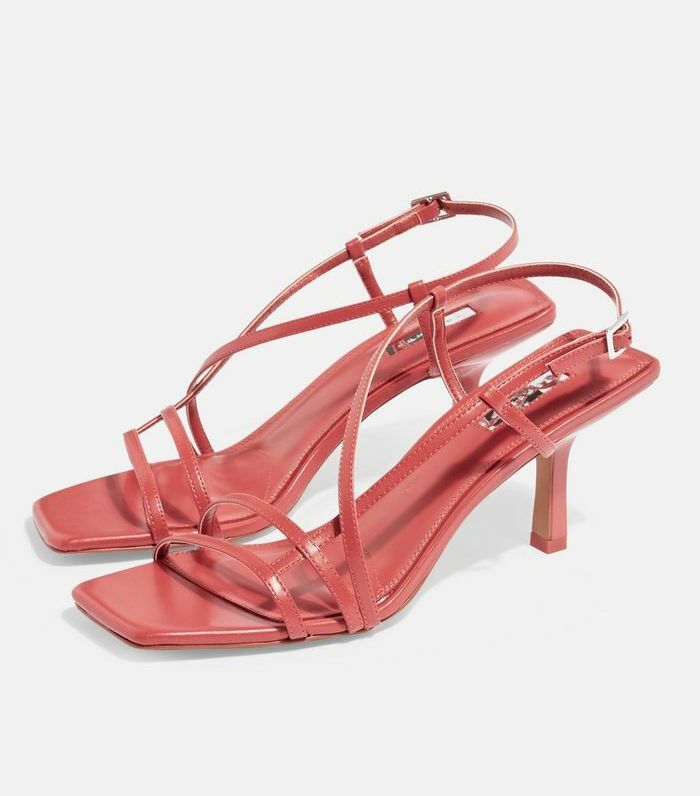 The trend for these super-fine strappy sandals was undeniably started by The Row, with its £650 slingbacks in numerous colours. 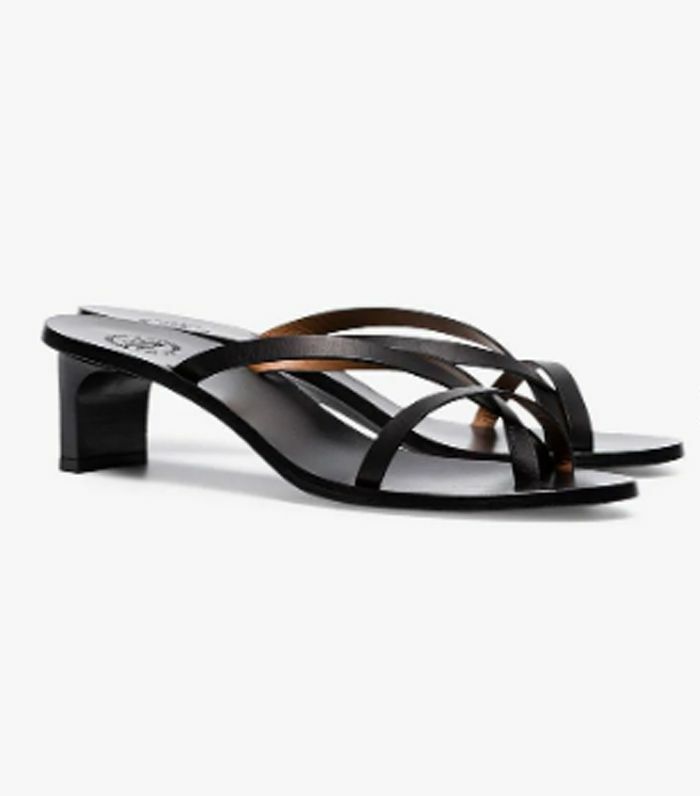 However, numerous other designers have also created cult strappy sandals, including ATP Atelier, By Far and Neous, so it was only a matter of time until the high street offered its own cult pair. 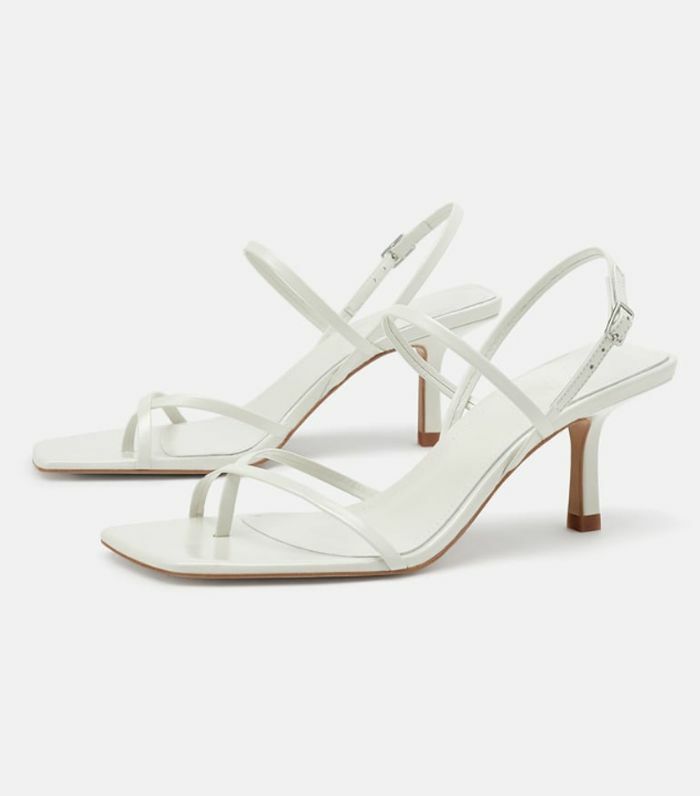 Zara has also just released a number of strappy sandals, and we’re particularly impressed by the angular £60 white pair. Keep scrolling to see the £46 Topshop pair and more amazing strappy sandals that are still in stock.